Get the ball moving with adidas! The name of the game is “adidas” whether you’re a basketball superstar, or you just like the good looks of these famous shoes. You’ll find ALL your favorite adidas shoes at your sporting goods dealer. 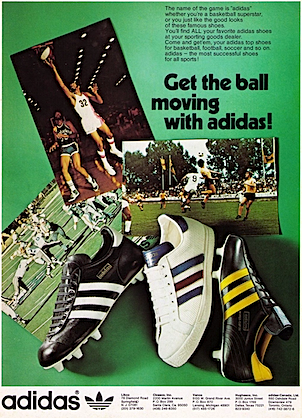 Come and get’em, your adidas top shoes for basketball football, soccer and so on. 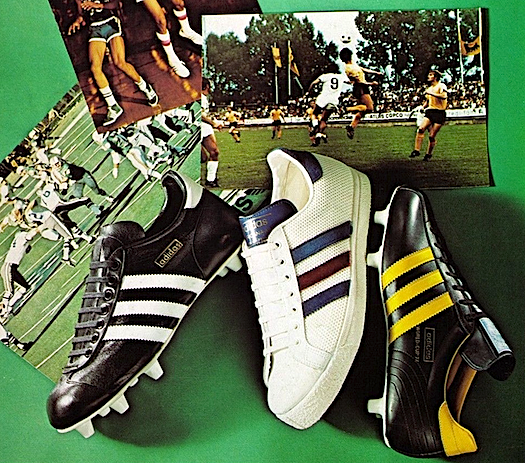 adidas – the most successful shoes for all sports! adidas Gripper football shoe "Take the extremes into your stride"
adidas training shoes and training suits "adidas puts you on the right footing"